* The Rotors which do not change shape when speed of rotation increases, or the ones which do not operate at resonant frequency, are classified as rigid Rotors. 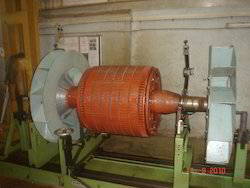 * Flexible Rotors are Rotors which operate near their resonant frequency. This running of motor generates very slight deformation of the Rotor. 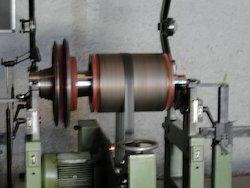 Flexible Rotors need to be balanced at higher speeds and also near their service speeds. 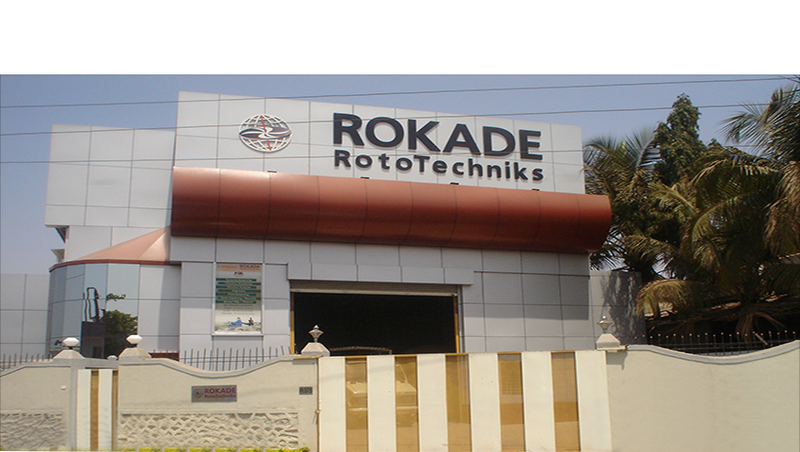 Owing to the expertise of our professionals, we are at the forefront of providing Rotor Balancing Services. Our offered services include dynamic balancing of rigid rotors, which prevent excessive vibrations and enhance optimal speed of the rotors. 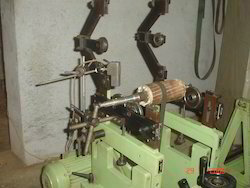 Further, we use hi-tech devices and ensure to perform our services under strict regulations of safety principles. 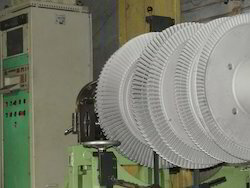 This photo shows brand new Rotor being attended by us for one of the leading Motor Manufacturers. 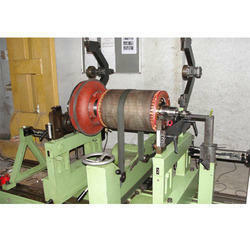 After fine and precise machining, the Turbine Rotor has been Dynamically Balanced at our Works. The photos have been taken from different angles, while being balanced. Utmost care is taken by us while loading the Jobs on to the Balancing, while un-loading and for preservation of the balanced Jobs at our Factory. The image shows typical job having 7.5 Tons being attended by us for ABB at our Rabale Navi Mumbai. 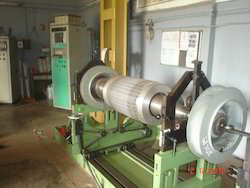 This image shows typical Turbine Rotor job weight having 3 Tons attended by us for Technocraft, Murbad, Near Mumbai. 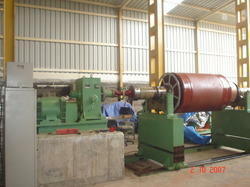 We undertake Dynamic Balancing of Rotary Machines on various capacity SCHENCK Dynamic balancing machines. 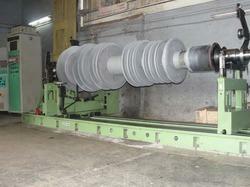 This image shows typical Re-wound job being attended by us for one of our Rewinding Shop Clients. 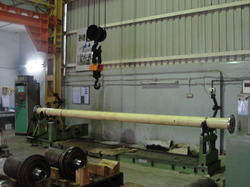 This image shows Propeller Shaft job attended by us for Kirloskar Brothers, Pune at our Factory. 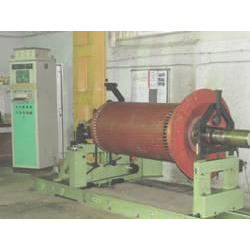 We undertake Dynamic Balancing of Rotary Machines, on various capacity SCHENCK Dynamic balancing machines. 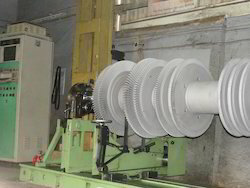 This image shows typical Industrial Rotor job being attended by us for ABB at our Works. 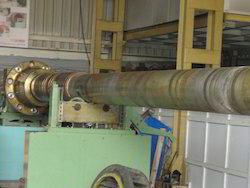 This is a typical re-wound job attended by us for one of our Rewinding Service Clients, at our Factory.